Feet in Hiking Boots Walking through Autumn Forest, Close Up. SLOW MOTION 120 FPS, STABILIZED SHOT. Unrecognizable woman feet tracking on fall day outdoors, walking through woodland. Disconnected. hd00:36Feet in Hiking Boots Walking through Autumn Forest, Close Up. SLOW MOTION 120 FPS, STABILIZED SHOT. 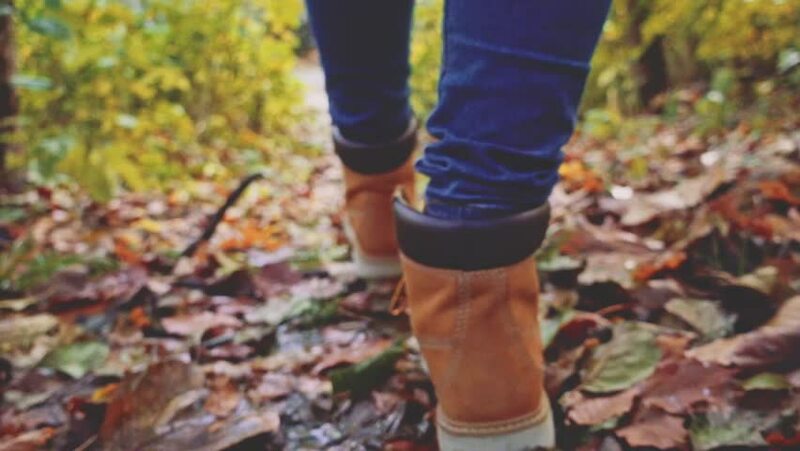 Unrecognizable woman feet tracking on fall day outdoors, walking through woodland. Disconnected. 4k00:16Running - woman runner jogging on autumn forest path. Fit female sport fitness model athlete trail running training. Runner girl in sportswear running in park exercising outdoors. hd00:15People running cross country in autumn forest. Jogging motivation in green park beautiful inspirational landscape. Run a marathon through the woods. Slow Motion.